Some joker spammed me on 20 different posts over night, so I'm temporarily changing my settings so that all comments will be moderated. I'll release genuine comments as quickly as I can, but anything that seems a bit fishy will be ditched. Note to spammers: contrary to what the spammer in question seems to think, I'm not so vain that the brief, generic word of praise you cut and paste in before your 20 links to Rolex watches, will either a - make me think your post is genuine, or b - stop me from deleting it. Not even if you pay me exactly the same compliment 20 times. Thanks to all the people who do leave genuine comments. Apologies for the inconvenience. I've not yet had a chance to see Toy Story 3 - I'm hoping to take Nina shortly, but it appears that Mr Potatohead has been branching out into biblical studies. Mark Goodacre links to a YouTube video explaining Markan priority in the Synoptic Gospels. It can only be a matter of time before he coerces Buzz, Woodie and the slinky dog into explaining the documentary hypothesis. One of the things that is interesting about researching a subject such as this is how often you turn up something interesting whilst you're in the process of hunting for another thing entirely. 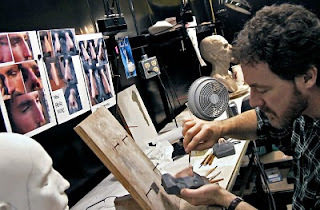 Thus it was that, the other day, I came across the concept art pages for The Passion of the Christ by Miles Teves. In his resume, Teves dates his work on the film to 2002, so its interesting to see the extent to which his work made it into the final film. It's good to see images such as this making into the public domain. Whilst I don't have a special features laden edition of the DVD, I imagine some of this material is there to some extent, but it's still interesting to see this part of the process evolve, particularly for such a visual film. Sweet Baby Jesus, the modernised nativity story starring Pixie Lott, has been adding to its cast list, according to deadline.com. Sharon Stone is set to play the Mary-character's mother. It also appears that Sam Rockwell has been replaced in the role of Joseph by Adrien Brody. Bette Midler will play the innkeeper. Back in March I mentioned the 2010 Arts and Faith Top 100 films. Over the last few months, the folks at Image Journal, who host Arts and Faith these days have been busily getting members of the forum to produce reviews of all 100 films, and these have now all been posted. Thanks to the Image staff for putting the list together, and to the authors named above for their contributions. A lot has been said over the last couple of weeks about the latest stories about Mel Gibson. I'm always nervous about believing something just because the papers say so, but with audio recordings being online for anyone to hear, its difficult not to take it all at face value. So I'll try to restrict myself to considering how these latest incidents might affect how we read The Passion of the Christ. 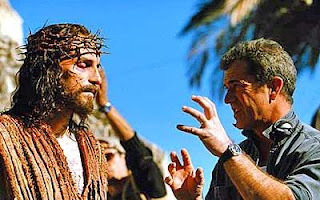 For example, Kim Masters, in an article for The Hollywood Reporter quotes an anonymous producer who claims that "if he [Gibson] were to make The Passion of the Christ today, it wouldn't do a dime less business". The Passion of the Christ owed a huge portion of its success to the churches that bought out entire theatres and gave the tickets away, all in the name of "ministry" -- and one huge reason why the churches did this was because they bought into the "narrative" of Gibson's life and career, i.e. he was a devout Christian who had lost his way during the early days of his Hollywood fame but he had begun to turn his life around about a decade or so before he made The Passion. ...whatever the film's merits, I find it hard to believe that Gibson could have sold this film to North American churches today the way he did six or seven years ago. I find it hard to believe that churches would have wanted to associate with Gibson in the absence of some major, major public apologies -- and even then, I would think these scandals are "too soon". Part of the problem here is, I think, that its far from clear what scenario is being envisaged. It seems fair to assume that the producer in question isn't talking about Gibson making The Passion again - that would be absurd, but imagining a scenario whereby Gibson didn't make the film then but made it in 2010 is equally problematic. For one thing, it seems unlikely that these latest stories, and Gibson's anti-Semitic outburst in 2006, would have gained quite as much publicity as they did were it not for The Passion. Gibson wouldn't have had the money or the fame to make Apocalypto without the profit from The Passion and whilst he did appear in Edge of Darkness it seems unlikely that these stories would have been such major news if it was the only film he had done in 7 or 8 years. Furthermore, these stories are all the more headline grabbing not just because they were about a movie star, but because they were about a movie star with such strong religious convictions that he made the most successful religious film of all time. Hypocrisy always sells. Not entirely unrelated to that is furore around Gibson's anti-Semitic outburst of 2006. Whilst most, if not all, racist remarks by movie stars would be disapproved of by the media, this story had extra legs precisely because The Passion had been so strongly accused of anti-Semitism. Gibson's outburst was perceived by many as clear proof of those accusations, making the story more newsworthy. That said, it's possible that the '"narrative" of Gibson's life and career', as Peter puts it, could still be spun in a way that might garner church support. 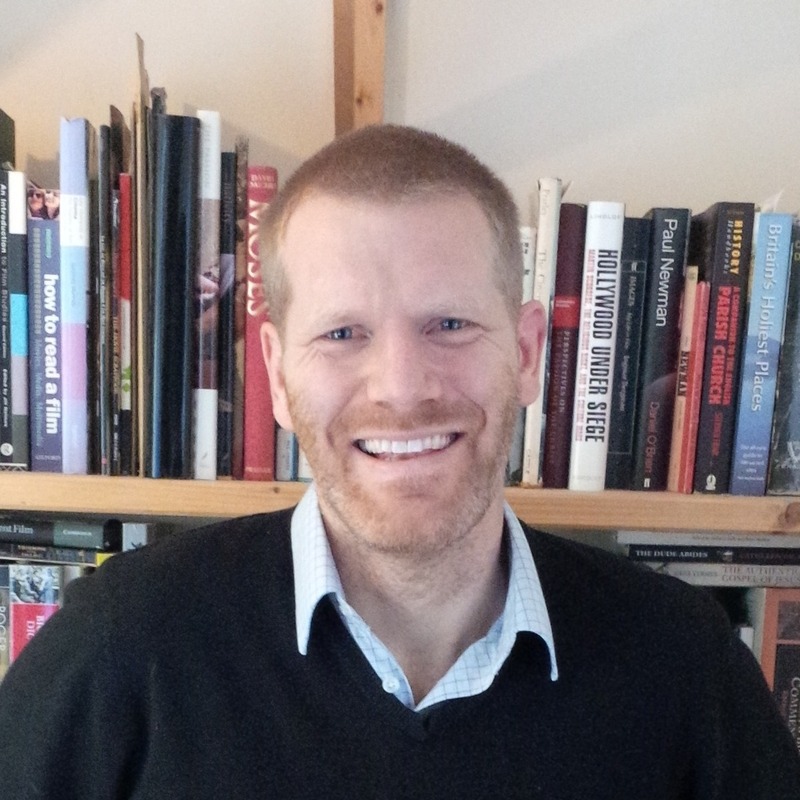 Gibson's life could be depicted as one where he has battled with his faith, but has felt God with him and as a way of saying thank-you he wants to make a film about Jesus with 'the power to evangelize". I don't think the take up would be anything like as great, but I could still see it doing well, albeit with the kind of 'public apologies' that Peter insists would be required. However, in the light of the anti-Semitic outburst, any such film would have to be substantially different in its handling of the Jews than The Passion was in order for it to be widely embraced. In 2004, many Christians felt that accusations of ant-Semitism were trumped by Gibson's perceived fidelity to the gospels. But in the light of that outburst, and perhaps even the subsequent learning/counselling from Jewish groups that Gibson said he would undergo, it seems likely either that Gibson would make the film differently, or that at least some church leaders would have had second thoughts about embracing the movie so unreservedly. The other major criticism of The Passion, of course, was that it was too violent, and this, also, looks a little different in the light of these latest allegations. For me, the most disturbing part of the tapes is when Oksana seems to ask Gibson "What kind of a man is that? Hitting a woman when she’s holding a child in her hands? Breaking her teeth twice in the face! What kind of man is that?" and rather than deny it he appears only to say that she "deserved it". Now it appears pretty hard evidence, but I'm painfully aware of how even something like this could be misleading, so what I'm about to say should be read bearing that in mind. Nevertheless, in the light of all this, the violence in many of Gibson's film seems somewhat more worrying, whether it was in the name of revenge (Mad Max), against himself (the dislocating his shoulder scene in one of the Lethal Weapon films and Wallace's death in Braveheart) and his saviour (in The Passion). The Passion gave us what is far and away the most violent depiction of the crucifixion to date. If Gibson has beaten Oksana, does it change how we read it? 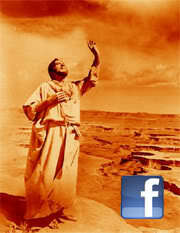 Is The Passion a sub-concious lashing out at Jesus. Is it a reflection of the horror that he feels at his own sin, such that he goes so over the top in depicting the extent to which Jesus had to suffer in order to atone for it, beating himself by proxy so to speak? Or does Gibson somehow let the violence sees God impose on Jesus justify his own violent outbursts? Furthermore, does this incident shed any new light on the long standing discussion about whether violent movies result in a more violent society? Lastly, I feel its important to state that I'm troubled by the way that so many of the areas around this discussion have become completely polarised: racist/not racist, violent/not violent, anti-Semitic/not anti-Semitic. It seems to me that we are all made up of the various influences on our lives. Some of those influences might encourage us to reject other ones, but it's not always easy to totally purge oneself of such negative influences. Gibson's father is on record as a holocaust denier, and it's hard to see how Gibson Jr. won't have been influenced by that. At the same time, he clearly knows that it's wrong - he said as much after his 2006 outburst and there are signs of him curbing the excesses of Anne Catherine Emmerich's work in his adaptation of it, even if he wasn't able to do it to the extent that he should have. It's significant, to me at least, that this outburst happened when he was drunk and therefore the controls that he might place himself under in ordinary life weren't there. That doesn't excuse such comments or actions, but at the same time, the idea that it exposed 'the real Gibson' is too simplistic a take for my liking. Our self control is a part of the real us. Similarly, whilst the conversation with Oksana is horrendous, it's significant that Whoopi Goldberg has appeared on record saying he's not racist, and then had to defend herself because of her comments. Now just because Whoopi Goldberg says something it doesn't mean it's true, but I do think that racism has become such an inflammatory topic these days that it's holding back our society from truly freeing ourselves from it. Even the British Nationalist Party says its not racist, whereas, in truth, I suspect that most of us harbour some unhelpful influences that we know are wrong and thus suppress. Until the term becomes less potent, I think it's going to be difficult to completely purge racism from our society. Back in 2006 I reviewed a half hour film Gideon: The Liberator from 1958. 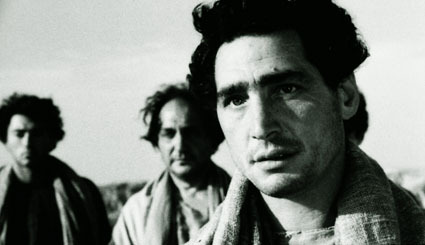 At the time I wrote that as far as I knew there had only been two films ever made about Gideon, that one and a 1965 film known variously as Great Leaders of the Bible:Gideon, Gideon and Samson, or I Grandi Condottieri (pictured). However, my good friend Peter Chattaway sent me a couple of links the other day relating to two other Gideon films. Firstly, and most excitingly is details on the IMDb of Gideon (1971) which stars Peter Ustinov and Jose Ferrer. Both have pedigree in biblical films and are well regarded actors in their own right. On of Ustinov's roles was as Herod the Great in Jesus of Nazareth which, incidentally also starred Gideon and Samson's Fernando Rey as Gasper. I've not been able to find out much about this film. It was a TV movie based on a successful Broadway play by Paddy Chayefsky. The director was 5 time Emmy award winner George Schaefer, who also directed a 1961 TV film called Give us Barabbas (unrelated to the Anthony Quinn film). It's currently got 9.8 out of 10 at the IMDb, although given that it's based on a mere 9 votes that means very little. According to Wikipedia it was a "90-minute Hallmark Hall of Fame adaptation on NBC" which "aired in the United States on Friday, March 26, 1971". The play itself was reviewed by Time Magazine in 1961. You can view a photo of Ustinov in the role of Gideon at eBay at the moment as it's currently on sale. A quick scan of Google turns up a few other minor details. According to this page, two quotes appear from the film appear at the start of Criminal Minds. Ustinov (as Gideon) says "Unfortunately, a super-abundance of dreams is paid for by a growing potential for nightmares." and Eugene Ionesco (not even in the cast list at IMDb says "Ideologies separate us. Dreams and anguish bring us together". It appears to be unavailable on DVD, and no-one seems to have loaded it up anywhere else either. In searching for information on Gideon films, I also came across another title which at first appeared to be a separate film for sale at Amazon, and supposedly starring Sergio Ammirata and Barta Barri. No such film appears on either of their IMDb entries, and the picture on Amazon is taken from Gideon and Samson. 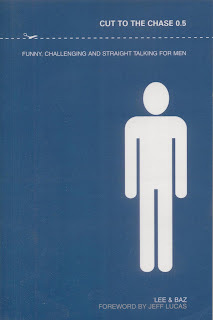 There is quite an array of DVD releases of Gideon and Samson so it seems likely that this is simply another one of those rather than a new title. Lastly there is the animated take on the story from Veggie Tales. Gideon Tuba Warrior was released in 2006 and is about 45 minutes long and it somehow links the story in with that of George Muller. So that's still only four, possibly five titles for Gideon, the most promising of which may never again see the light of day. I'll hopefully find the time to watch Gideon and Samson at some point and report back. The ever-amusing Alex von Tunzelmann has written up her latest history report card for a Bible film and this time its 1959's Solomon and Sheba starring Gina Lollobrigida and Yul Brynner (pictured above) that she has in her sights. 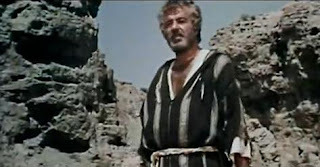 There have only been a handful of films about Solomon, and this is easily the most well known, even if, as von Tunzelmann points out, it's a bit of a disaster, representing the worst excesses of the 50s biblical epics, whilst leaving little to appreciate aside from Gina Lollobrigida's skimpy outfits. That said, its been such a long time since my one and only viewing that I may well have missed one or two notable aspects. Incidentally, in searching for a picture to accompany this post, I stumbled across Brooklyn Babylon - a modernised take on the story from 2001. Thanks to Peter Chattaway for the tip off on this one. Over at his Killing the Buddha blog, Nathan Schneider has written up some interesting thoughts on a recent viewing of Pasolini's Il Vangelo Secondo Matteo (The Gospel According to St. Matthew). Schneider watched the film with a friend - a non-believer brought up in a "pre-Vatican II Roman Catholic community" - and has written up both his own reactions and that of his friend. It's a fascinating contrast. As it happens this film has been in my thoughts this week: my Through the Bible in Five and a Half Years course starts the New Testament in September (after a summer recess) and so I'm thinking of showing this to my film night group. Strangely we've never seen it at Film Night, save perhaps a very early gathering of many of the same people who still come 10+ years later. One of the things I plan to discuss at the Matthew session of Through the Bible is the way in which our own pre-suppositions can shape how we read the text. Whilst I plan to contrast a passage from Pasolini's film with the same passage from the Visual Bible's 1994 Gospel of Matthew, the contrast between Schneider's take on the film and that of his friend essentially raise the same point. I've left a comment on Schneider's blog basically saying that whilst I think my view of Jesus more naturally align with his, the value of the film, to me, is that it confronts me with a portrayal of Jesus which I find uncomfortable, but cannot really shake off using the gospels. It rubs up against my presuppositions about Jesus and in so doing exposes them as simply that - presuppositions. Incidentally, I also plan to watch the Visual Bible film over the next couple of months so I'll hopefully be blogging about both films a little bit during that time too. Not the Ridley Scott crusades epic, but an episode from the series The Animated Stories from the New Testament which I managed to pick one up cheaply from "The Works" at Christmas. The series has also recently appeared in my local Christian bookshop. Whilst my daughter has watched this entry a couple of times now, yesterday was the first chance I'd had to sit down and watch it with her. 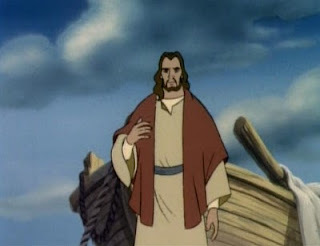 The Kingdom of Heaven, directed by The Fox and the Hound's Richard Rich, is the 8th entry in the 24 part series and deals with Jesus' teaching on the Kingdom from Matthew 13. Thus we get enacted versions of the parables of the Wheat and the Weeds, the Merchant and the Pearl, and the 10 "Maidens" (Matt 25) as well as an explanation of the Parable of the Sower. This main section of the film is introduced and concluded by the same scene showing the return of of a glowing, Ready-Brek, Jesus, based on Matthew 25. The most obvious criticism of this film, and I presume the series in general, is the filmmakers decision to use the King James Version of the Bible whenever Jesus speaks. This made it very difficult for my 4 year old to understand even the gist of what he was saying - despite the fact that she occasionally enjoys stories read straight from an adult Bible. To animate these stories, particularly using playful and appealingly animated characters, but to make the words they are saying (and the points of these parables) utterly impenetrable, seems rather foolhardy. I know that there are Christians who hold the King James version in very high regard indeed, but surely this is a case where, even for them, pragmatism should have triumphed idealism. That said, given the General Synod of the Church of England's failure to do the same in its recent vote on women bishops, perhaps it's me who is being too idealistic. Whilst the animation is nothing special, it's competent enough and is reasonably in keeping with various other TV cartoons, though as it was made in 1991 it obviously predates CGI. There's a nice dissolve from the future return of Jesus introduction to the historical Jesus teaching to a largish crowd, but otherwise nothing too spectacular. 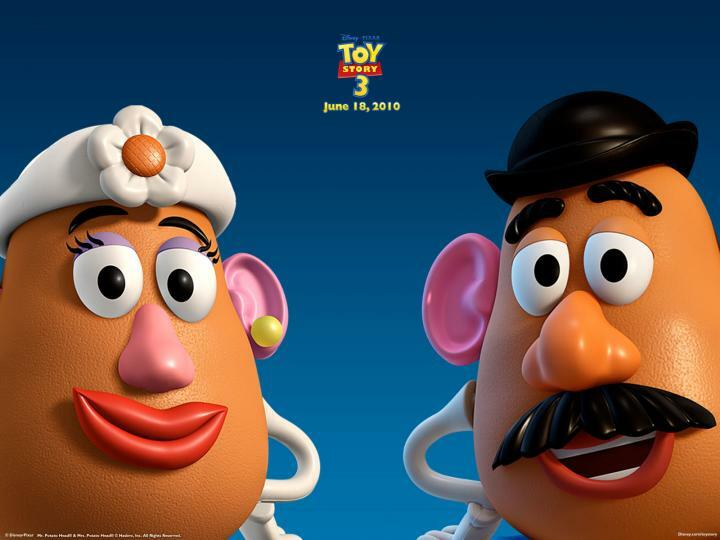 The cartoon doesn't introduce wacky characters or gimmicks to get the story across, although it does personalise some of the crowd members and people in the parables. The stories themselves are told in a reasonably straightforward fashion, but with the occasional obvious omission. Take for example the Wheat and the Tares. We're told that the weeds are thrown into fire, but just as someone is about to explain this part of the story they are conveniently interrupted. Sometimes, however, telling the stories in such a straightforward fashion means that the viewer is no more informed than they were before, perhaps even more confused. Take for example the story of the 10 virgins. The parable is contextualised a bit, we meet the groom and 3 of the girls, but its far from clear why what happens to the 5 girls needed to. In reading the story we are aware of the strange cultural gap separating us from the parable's original context. But visualising it and drawing us into the characters creates more problems than it solves. The bridegroom is left turning away the 5 girls simply because they don't have enough light. They don't offer an explanation for their lateness / lack of light. He doesn't suggest they move a few feet closer so he can see their faces. The result is that the Jesus figure comes across as inflexible and mean. We're left thinking poorly of him, not the ill-prepared women. That said, such visualisation can work in a positive way too. The Parable of the Merchant and the Pearl - told in a song, rather than in prose - really made me wonder what was it about the pearl that made the merchant sell up. There's a real contrast here with the man who discovers buried treasure. He makes a risky but sound investment. Who wouldn't have acted likewise? The merchant, on the other hand, presumably knew the comparative value of the various items, so unless the pearl's seller has undercharged him (which is certainly not stated or implied in the text) then he stands to gain very little, if anything, on a purely material level. The value the merchant assigns to the pearl is far higher than that of the majority. Perhaps it's irrationality, perhaps it's just an attachement that surpasses his physical needs, but whatever the explanation, he finds the pearl / the kingdom utterly compelling. So whilst the decision to use the KJV cripples the series pretty severely, the film does produce a few new ways of looking at familiar gospel stories which is, of itself, something of great worth. It may ultimately have been a bit of a disappointment, but there's enough of value in you might be in The Nativity Story to make it worth having on DVD, particularly now that play.com are selling it for a mere £2.99 (incl. P&P). In fact, if you go to the new and used section it's even cheaper at just £1.77. Play regularly have sales on stuff, and make it fairly easy to browse so it's one of the places I keep an eye on for bargains. For ages now I've been meaning to write something about Big Book Media, known in the US as The Liturgy Series. 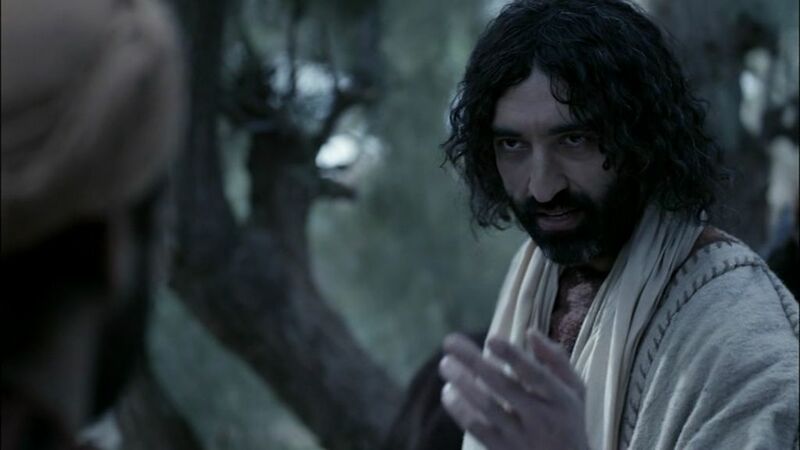 They've produced a series of films about Jesus' life, available on DVD or for download, for churches and for schools. So far they have either concentrated on key moments in Jesus' life (The Story of the Nativity, The First Easter) or the Gospel readings from the Lectionary. Big Book sent me a couple of their DVDs to review, and I like what I've seen. The films themselves are shot with high quality film (or digital equivalent!) on location in Ouarzazate, so the producers have clearly invested heavily in the project, and this is obvious from watching them. In addition to looking authentic, almost every shot is really well composed. The films themselves, at least those that I have seen, narrate a section of scripture over the top of the action on screen, so there's almost no diegetic sound. The result is rather curious giving the films a documentary feel which is well suited to their intended use in churches and schools, though it might not be quite what everyone is looking for. It's possible to turn off the narration, but keep the background music and sounds which might work well to accompany some kind of meditation. The schools-targeted DVDs, branded as 3 Wise Camels, feature ex-Blue Peter presenter Diane-Louise Jordan doing the voiceover, but the images are just the same. The website suggests that these are suitable for 3-11s, but my feeling is that this is a little low. My daughter is four, and pretty bright, but I think most of this would be above her head. Likewise I could imagine that a good number of those aged 12 would appreciate it too. British actor Selva Raslingam (currently appearing in Prince of Persia) makes an excellent, middle-eastern Jesus, moving well away from the sadly still typical blondish haired, blue eyed Anglo-Saxon of so many other portrayals, and the fact that he is not typically good-looking all adds to the sense of authenticity. Incidentally, Raslingam also played the lead role in Channel 5's The True Story: Herod the Great. The series has been put together by David Batty, who both produced and directed Channel 4's Christianity: A History series last year as well as a number of Robert Beckford's documentaries such as Secrets of the 12 Disciples and The Hidden Story of Jesus. Delirious? fans may also recognise these films from the video to their Easter 2010 hit "History Maker" which, I suppose, is a good place to go to get something of a feel for these films. The trio went well by the way. In the end there were 7 of us including me, and whilst the New Testament items are less impressive that those from Assyria and Babylon, and we were flagging a bit by that part (not to mention being shut out of the crucial rooms just as we were closing in on a jar from Qumran), it was an enjoyable and successful trip.